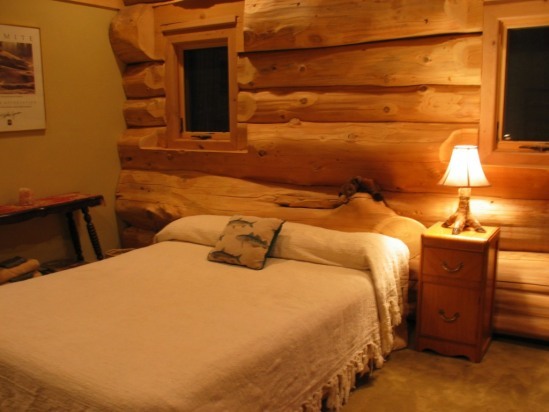 This beautiful mountain log cabin is just what dreams are made of. 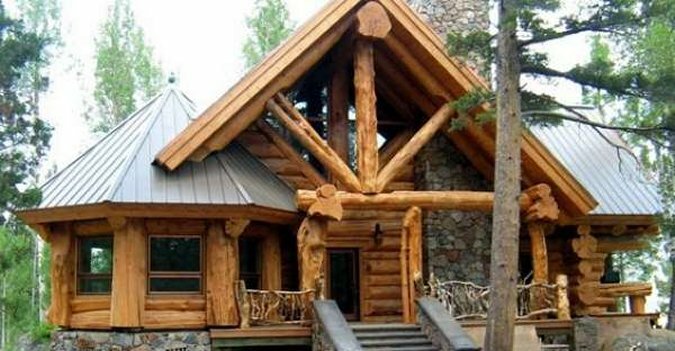 There are so many details to love about this log cabin design. 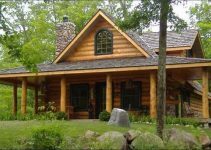 The large log trusses, log posts, and beams wherever you look, the grand stone fireplace that anchors the log home, log railings, charming cozy interior and much more. 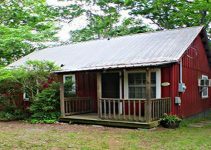 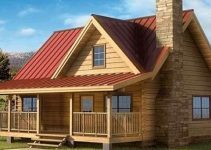 Not only is this one of the most beautiful log cabin designs you will see, it is also set in the perfect location with scenic views of mountains and forests all around. 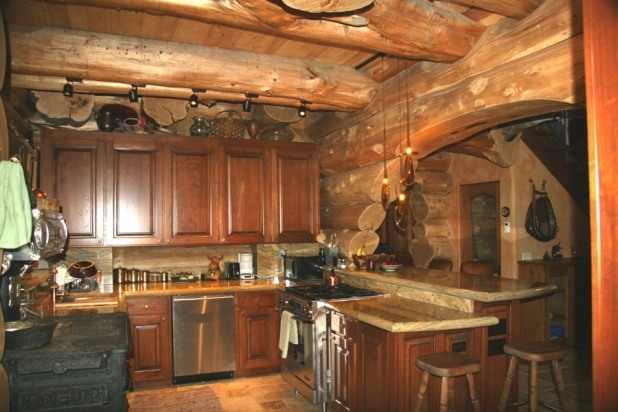 Located near the crest of the Sierra Mountains, it has lovely and inviting interior features.